Communications are the keys to success for companies of every size. Each business needs to be able to efficiently and effectively communicate with specific audiences in order to thrive in a competitive, worldwide economy. 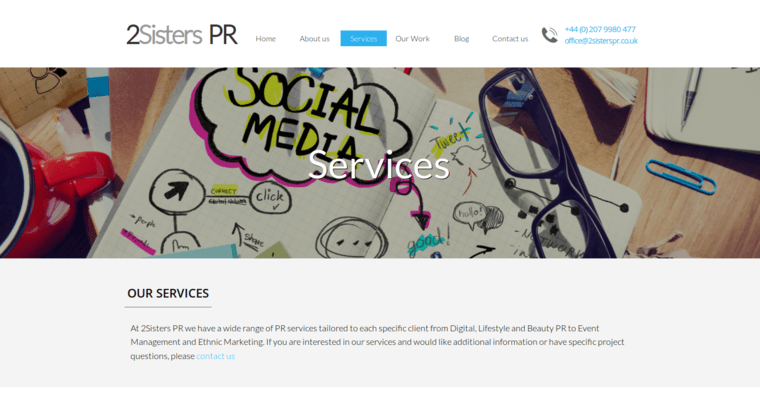 2Sisters PR understands how to create communications that are as beneficial as possible to its clients. 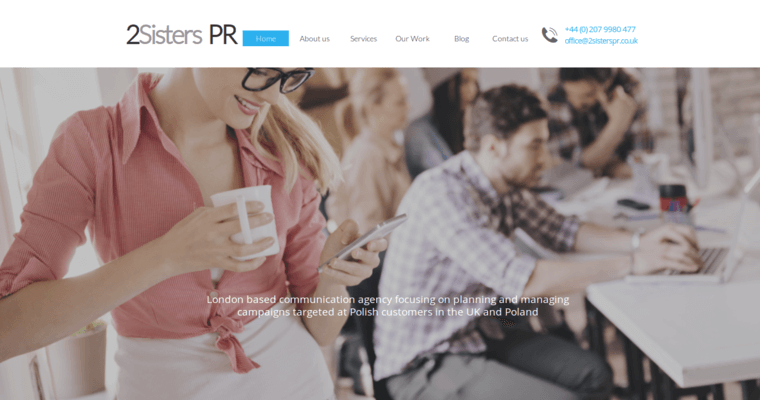 Staffed by experts in communications, media, marketing and other fields of expertise, 2Sisters PR has the necessary experience to help its clients to soar past the competition and thrive. They handle press releases from start to finish, including responding to follow-up inquiries from the media. They are able to devise viral marketing campaigns and word-of-mouth campaigns when a client is planning a new product, service or launch of a new location. When a client is planning a special event, 2Sisters PR coordinates it and the publicity surrounding it. 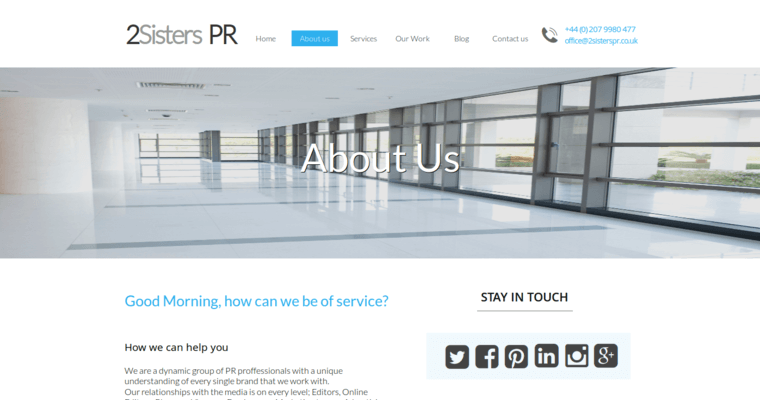 2Sisters PR is rated as one of the ten best PR companies.